As the Supreme Court continues to mull over Murphy v NCAA, nearly 20 states across the U.S. have taken up the issue of legalizing sports betting in their respective legislatures. But so far, only Pennsylvania and West Virginia have passed laws that will allow sports betting should the court rule to overturn the Professional and Amateur Sports Protection Act (PASPA). 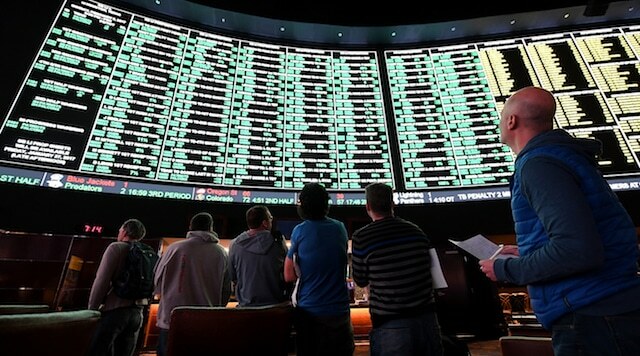 Several other states, New Jersey, Mississippi, Delaware and Oregon among them, believe they may not have to take much (or any) additional action to make sports betting operations legal, with permissive language already on the books. Pennsylvania legalized sports betting in 2017, pending the SCOTUS decision, albeit with a 34 percent tax on gross sportsbook revenue, while West Virginia is the only state to have passed a bill so far in 2018. As legislatures across the nation approach their session deadlines, here’s a look at the status of legislation in a dozen states that have actively discussed legal sports wagering. Connecticut: The state has bills circulating in both the Senate and the House, but the general feel in Connecticut is that sports betting legislation won’t become law during this session, which ends on May 9. Both the attorney general and the speaker of the house have publicly said as much. One of the main holdups is sports betting’s classification under exclusivity agreements between the state and Connecticut tribal casinos. That said, the Office of Legislative Research and Office of Fiscal Analysis is continuing to discuss the subject to get a better understanding of what sports betting in Connecticut would entail. Illinois: There’s been plenty of talk, but not much action so far. Three bills – SB 2478 (Sports Consumer Protection Act), SB 3125 (amends Horse Racing Act of 1975 to authorize sports betting) and SB 3432 (allows for sports betting and includes the pro-league friendly “integrity fee”) are all under consideration in the senate. All three bills are in the Senate Gaming Committee and, according to the state’s legislative website, are subject to an April 27 deadline for action. The legislative session ends on May 31. 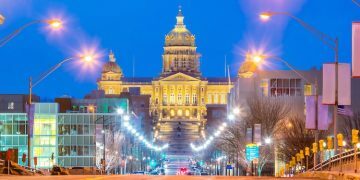 Indiana: The legislative session ended on March 14 and two bills were left hanging in committees – HB 1325, which authorizes sports betting, both in person and mobile, and its senate counterpart, SB 405. HB 1325 was the first bill introduced that included the integrity fee that the pro sports leagues are pushing for. 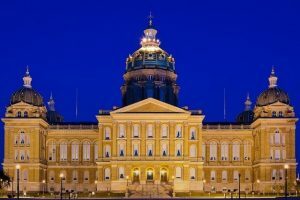 Iowa: Though the sports betting bill sponsor has expressed optimism sports betting, the legislative session closed with no action taken. Representative Jake Highfill said his biggest challenge has been educating his peers about sports betting and suggested that the April 17 legislative adjournment is a “soft” end to the session, meaning they might continue for a week or two without pay to finish some business. His bill, HF 2448 would legalize sports betting and outlines licensing and regulatory terms. There is no mention of mobile sports betting in the bill, although Highfill said that’s essential and would appear in a final version. Kansas: The legislature is in recess until April 26 and then has only another week before adjournment. Lawmakers held a hearing on sports betting where the leagues faced tough questions about the integrity fee. 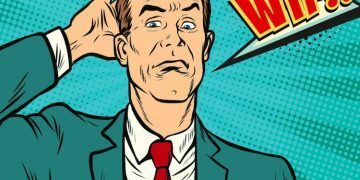 Some lawmakers then stated that sports betting legislation would be more complex than they initially believed. That said, HB 2752 and SB 455, companion bills referred to as the “Kansas Sports Wagering Act,” are both floating around the capital. Both bills are currently in the Committee on Federal and State Affairs. Kentucky: With the legislative session complete (adjournment was April 13), the state won’t have a new sports betting law in 2018. But two bills made it to committee before the session ended – SB 22, which tasks the Kentucky Horse Racing Commission with establishing a system for sports wagering, and HB 536, which would have the state lottery commission create a body to oversee sports gambling. Louisiana: Sports betting is all but dead for 2018 in the Bayou State, mostly because the Senate Finance Committee has no interest in approving any legislation that would require the state to spend money – and implementing sports betting costs money. SB 266, which would allow for sports betting in Louisiana, was deferred by the committee on April 17. Among the other bills floating around are HB 245, which would allow for sports betting at live horse-racing facilities; HB 873, which commits any sports betting revenue to the state’s early childhood education fund; and SB 398, which calls for a state-wide referendum on sports betting. All bills are in committee, but no action is likely to be taken before the session closes in early June. Maryland: The legislative deadline came and went and the Senate failed to pass a bill that made it through the House (HB 1014) that would have created a November ballot referendum, asking voters to approve or disapprove of legal sports betting. Massachusetts: The Bay State has taken surprisingly little action so far with regard to sports betting. Former Senator Eileen Donoghue offered up S 2773, a fantasy sports bill that includes some language regarding sports betting, but no action has been taken. The Joint Committee on Economic Development and Emerging Technologies has requested an extension to June 15 of the deadline to act on this bill. The state also requested and received a white paper, which examines every aspect of sports betting in the state. Michigan: There’s a variety of bills up in the air and the legislative session runs until the last day of the year, but so far we have not seen any activity this session regarding sports betting. This will be one to watch. 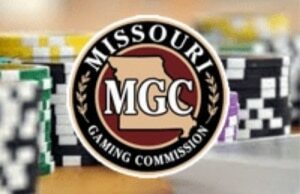 Missouri: Missouri’s statehouse has been abuzz about sports betting but still has work to do. But last week, Representative Bart Korman said it’s unlikely a bill will pass this session after the governor was accused of felony sexual assault. The connection? The legislature – and governor – likely won’t consider anything new or controversial under the circumstances. That said, there are no less than six bills circulating in both sides of the legislature and Korman, as well as Senator Denny Hoskins, appear to be laying some serious groundwork for passage of a law in 2019. New York: The Empire State is in a unique position. A 2013 amendment to the state constitution may allow sports betting at commercial casinos — but not at racetracks, racinos, tribal casinos, etc. In March, after a lengthy hearing on sports betting a few weeks prior, Sen. John Bonacic introduced S7900, which is in the Finance Committee and relates to the regulation of both sports and mobile betting. The bill is fairly comprehensive. Recently Assembly Member Clyde Vanel introduced S 10322 in the Committee on Racing, Gaming, and Wagering that would create a task force to study online sports betting. A full-fledged sports betting bill bill from that committee’s chairman, J. Gary Pretlow, is expected to come soon. New York’s session runs until June 20, so they have time and are waiting to see about SCOTUS. Oklahoma: When the legislative session ends on May 25, it’s highly unlikely that Oklahoma will have a sports betting law. HB 3375 was the state’s best shot, but prior to its passage in April, it was stripped of all language pertaining to legalizing sports betting. Oklahoma has more that 60 tribal-run casinos throughout the state, and the holdup, just like in Connecticut, is figuring out how make sports betting work in accordance with tribal-gaming agreements and the tribes themselves, which are evaluating sports wagering as a casino offering as a whole. Rhode Island: SB 2045 would authorizes state-operated sports wagering at the Twin River/Tiverton facilities effective but would ban wagering on Rhode Island college teams. This bill was introduced on Jan. 18, but has not gotten out of committee. In other action related to sports betting, the state put out an RFP seeking applications from legal operators to oversee gambling in the state and the governor reportedly has included revenue from sports betting in her budget. The regular legislative session doesn’t end until Jun 30, so there is a possibility that there could be additional action in 2018.